If you’ve ever injured your Achilles tendon, you know what a painful experience it is. There are things you can do to keep your muscles limber and prevent future Achilles tendon injuries. Most people know that carrying extra pounds can cause a wide range of health conditions, like Type 2 diabetes and heart disease. But did you know it can also lead to foot and ankle problems? People who suffer from chronic foot pain often cannot live out their normal daily lives. 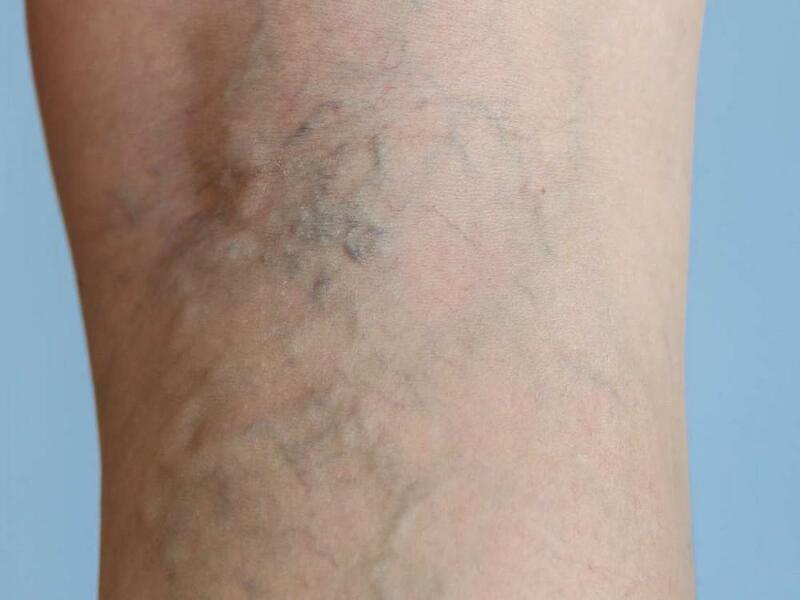 Varicose veins are veins that are larger than normal. If you have sudden, unexplained leg pain, then it may be worth a visit to your Delray Beach physician to find out what is causing the problem. If you wear shoes that do not fit properly, it can cause all sorts of problems. If you are on your feet frequently or you are an athlete who runs or walks a lot, you may know that having blisters is often an uncomfortable and sometimes painful experience. Injuries to the ankle are a common result of overuse, either from physical activity or excess weight, and often result in severe ankle and leg pain. Keeping your feet happy and pain-free may be easier than you think. Your feet are a crucial component to your body and wellbeing. There are many different types of painful foot conditions that require foot care in Deerfield Beach. Here are a few of the more frequent foot care concerns that many people encounter. Varicose veins are a common issue for women who are pregnant, or for those that are over the age of 50. Sclerotherapy is an advanced and popular form of treatment for varicose veins in Pompano Beach. During sclerotherapy, a saline solution is injected directly into the vein, causing it to swell. Scars left behind from acne or injuries are often unsightly, itchy and painful. Scars from burns can be less elastic than the original tissue, leading to painful contractures. Foot injuries are common when playing sports. Many can be intensely painful, but how can you tell whether it’s a fracture or a sprain? If you are experiencing leg pain it is important that you don’t ignore it, as it could be a sign of something serious. Foot Pain: is it Jogger's Foot? If you have taken up running as part of your physical activities and you are experiencing pain in your heels, you may have jogger’s foot. One of the potential roadblocks to getting fit can be injuries that occur during exercise, often due to overuse or poor stretching. Arthritis is a chronic condition that can quickly add stress and frustration to your day to day life. Varicose veins are not simply a cosmetic concern. For many people, spider veins are a frustrating aesthetic concern. If your second toe is bent downward in a claw-like position, you may have a condition called hammer toe. Although hammer toe can affect any of your toes, it’s most commonly seen in the second toe. Swelling in your feet, ankles or legs is not uncommon, particularly if you are overweight or you are getting older. 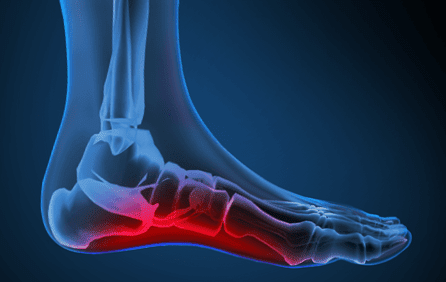 According to a new study, hallux valgus, better known as bunion deformity, has an increasingly negative impact on both general health and foot related health as the years pass. Stretching Helps with Plantar Fasciitis. Many people suffer from foot pain. Plantar fasciitis is one of the most common complaints heard in orthopedic clinics, not only around Boca Raton, but all across the globe. Before going to see your Boca Raton doctor regarding your foot pain, it’s a good idea to compile a list of questions you may want to ask. While 80% of people report experiencing heel pain, bunions or other painful foot conditions, foot pain is not normal and not something that you should just live with. Often caused by the human papillomavirus, known as HPV, plantar warts are benign skin growths located on the bottom of your feet that can cause foot pain. Barefoot shoes are becoming popular. Are they worth it, or just another fad? Here we are breaking down all you need to know about this new trend in running shoes. Ingrown toenails occur when the nail (usually on the big toe) grows into the flesh of the toe instead of over it. When your nails are thicker, curved or if you trim them improperly you are more likely to suffer from ingrown toenails. The shoes you wear have a major effect on foot pain and the developing foot related problems. When it comes to foot care, most people tend to drop the ball. Your feet are a critical part of your everyday functions. Your diet affects more than your weight or your general health. The nutrients you ingest every day, as well as the ones you don’t, can greatly influence foot health. Going Barefoot; Healthy or Harmful? When it comes to our feet, generally we tuck them away in socks and shoes and don’t think twice until the end of the day. If you’re like most women, you probably own a variety of shoes dedicated to going out, dressing up and showing off. Athlete’s foot is a fungal infection that begins usually between the toes and causes itching, burning and stinging in the infected area. Walking basics: It is difficult not to noticeably cringe when I see women walking on hard pavement while wearing fashionable, but dangerously high heels. What is the Best Footwear for Varicose Veins? What is the Best Footwear for Varicose Veins? This is a top question asked by many of my former and current clients. Are foot and ankle problems worse for women? The founder of the Foot, Ankle & Leg Vein Center takes this question seriously. Sometimes, it is easy to forget about our feet and how we take care of them. Ladies, we can start by thanking our parents for passing down the gene that makes us prone to developing varicose veins and now we can thank our children for making them worse. Everyone likes to pamper themselves from time to time. A frequent “go-to” activity for a day of pampering is a pedicure.